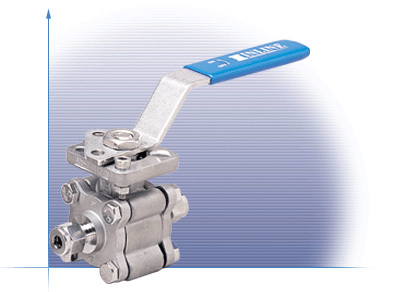 The 337C Compression Ends ball valve incorporates several innovative design features for improved performance. The valve's uniform bore diameter improves flow characteristics and eliminates pooling of potential contaminants. Roll burnishing and polishing all 316L stainless steel internal surfaces reduces surface porosity and improves finish. The ISO 5211 mounting pad allows for direct mounting of most actuators.